With an active community, Xiaomi provides various tips and tricks to make MIUI 9 a smoother experience. This time, we get the 5 tricks to free up storage on your Xiaomi device running MIUI 9. With these tricks, you can get rid of storage space running out. 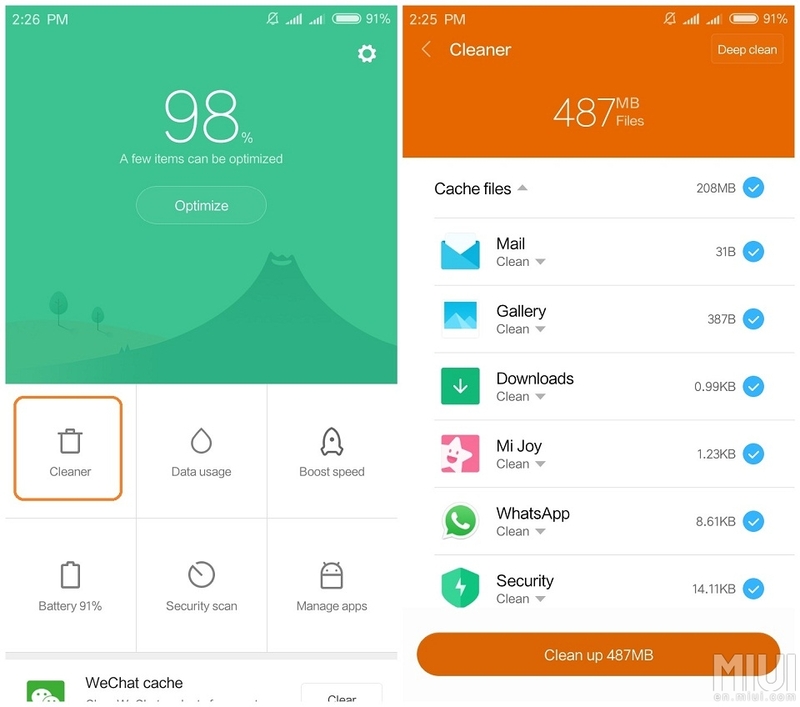 While the MIUI 9 comes with integrated apps to clear and manage storage, you can manually do some other things to clean it deeply. Since these come directly from the MIUI community, the methods are sure to work for your Xiaomi device. So here are the 5 tricks to free up storage on your Xiaomi phone with MIUI 9. This method works for all the Android smartphones since the cache is something that takes up a lot of space and requires manual cleaning in most cases. You do not lose any data in clearing the cache and can save a large chunk of memory by doing so. 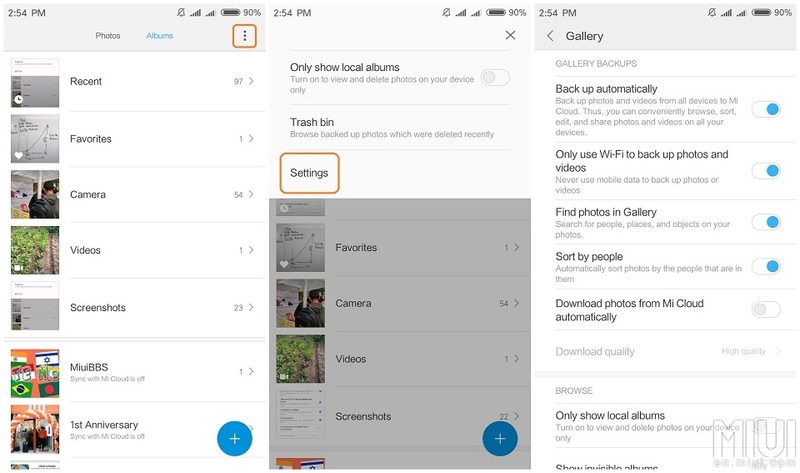 Here are the steps to clear the cache on MIUI 9. Go to Settings > Storage > Cached data. Once you tap on cache data it will open a pop-up, asking you to delete it. Confirm it and your cache will be freed up. Also, since this is to be manually done, you can delete the cache anytime there is storage filling up on your phone. 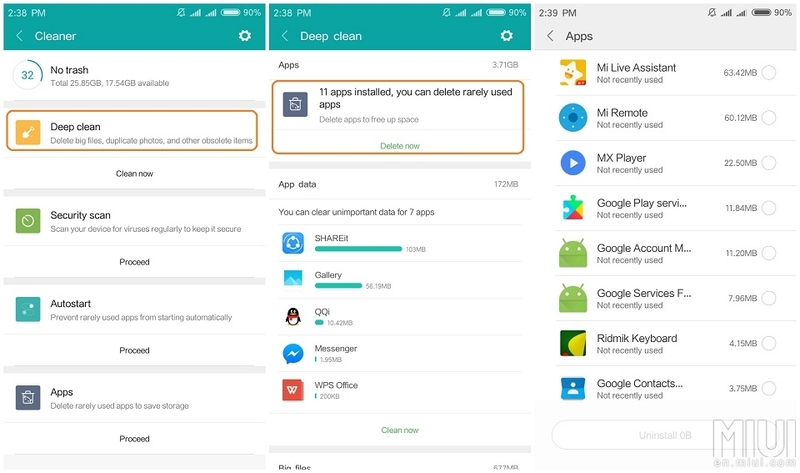 You have a dedicated app by Xiaomi to get rid of unnecessary files and data on your device. The Cleaner app comes integrated as part of the Security app and lets you clear the files that do not result in any loss of data. You can do it as follows. Go to Security > Cleaner. From here, you will see a ‘clean up‘ button at the bottom of screen. The button also tells how much unnecessary files are there in every app. With a single tap on the button, you can clear these files and free up storage. Another MIUI 9 trick using the cleaner app. 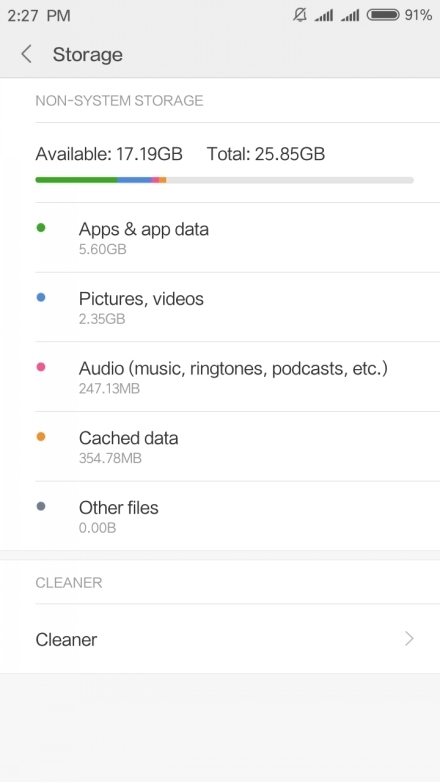 If your device has multiple unused apps taking up storage, you can use this process to clean it up. Simply go to Security > Cleaner. Here you will see a Deep Clean button on the top right side of the display. Tap it to see the apps that you rarely use. Upon tapping ‘Delete Now’ the apps you select will be uninstalled from your Xiaomi device. This will surely result in more free space on your phone. Mi Cloud is the cloud storage space you get with your Xiaomi smartphone. Using this space, you can keep all your photos and videos on the cloud, preventing them from filling up storage space on your phone. To do this, go to Photos and tap the three-dot menu at the top-right side of the screen. The Go to settings and set your preferred mode of backup and offline availability. This way, your photos and videos can remain safe on the cloud while your phone storage does not fill up. Internal storage can be a problem especially on entry-level devices. However, Xiaomi phones come with a microSD card slot which mostly doubles up as a second SIM slot. If you’re not using Dual SIM on your Xiaomi phone then you can use a microSD card on the device. After inserting a microSD card, you can set it as a default storage for videos and photos, freeing up the internal storage for apps only. As far as media content from WhatsApp is concerned, you can also manually move it to external storage.